Description: $39 each. 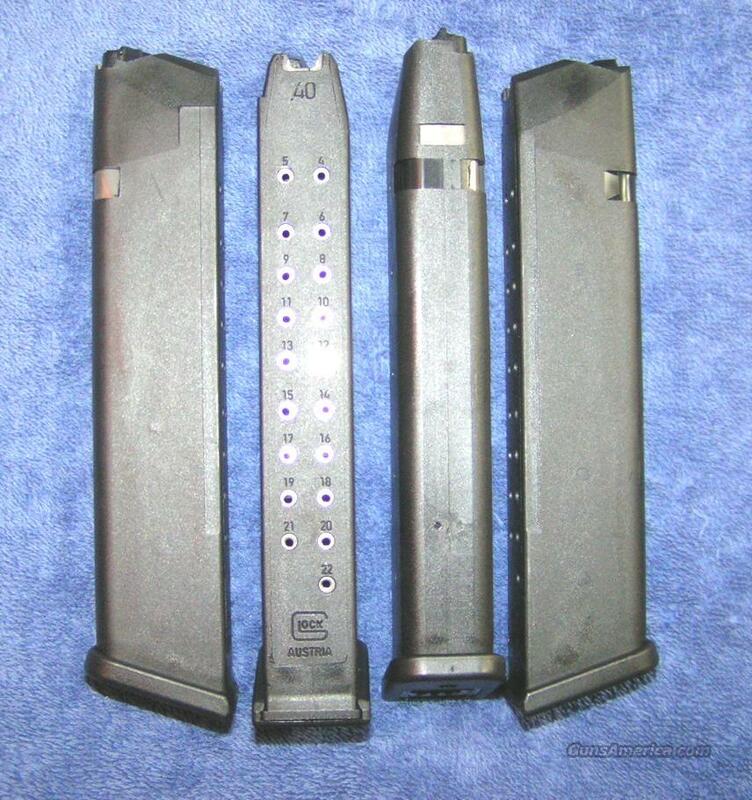 New factory Glock mag, holds 22 rounds of 40S&W ammo. 4th Gen. Works in models Glock 22, Glock 23, and Glock 27. Also the Glock 31 and Glock 32. Fits in all generation guns. Price is for one mag but might be available at the same price. I accept all credit cards, also cash, personal checks, company checks, money orders, cashier's checks, and bank checks. No credit card fee. Shipping $3 per mag. Florida residents add 7%. I combine shipping. Check out my other auctions. Rich.